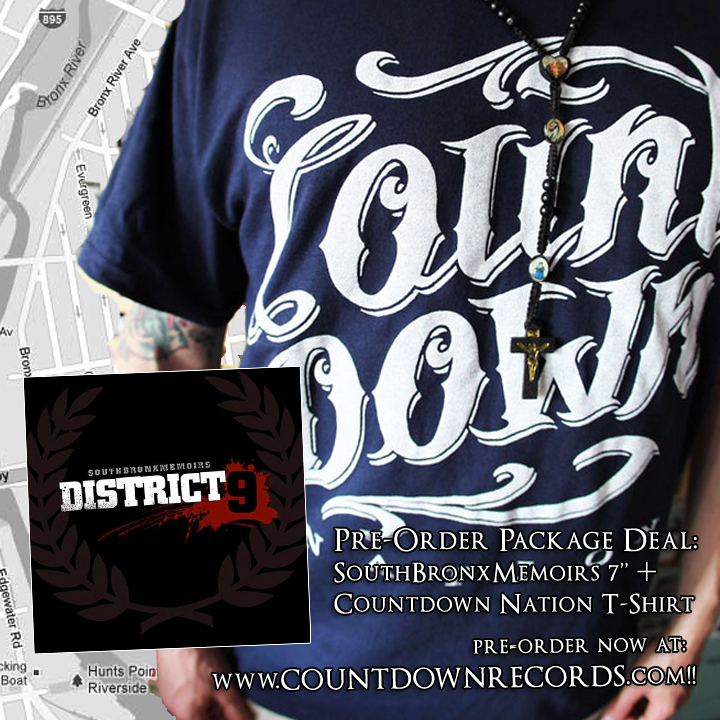 We are glad to announce that the pre orders of District 9 “SouthBronxMemoirs” are finally available at our online store. In the next days the Ep will be available also through some of our usual distributors in Europe. A special “family package deal” is also available, includes a Countdown nation t-shirt and a copy of the new District 9 Ep. Only 30 of this packages are available in different sizes, hurry up to get yours!